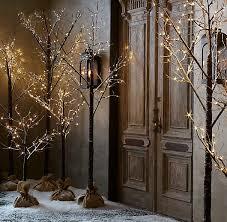 When we say â€œtis the seasonâ€ people think of holiday festivities and celebrations around a roaring fire. Most people donâ€™t think of the late fall and winter as the best season to sell a home, but if you have a â€œwinter strategyâ€ in place, itâ€™s possible to sell your home at a price as good as youâ€™d get in the warmer months. People whose homes are on the market during the colder months are usually serious home sellers and likewise people out looking for homes during the winter are serious buyers. Also, if you are thinking of selling your home in the spring market, itsâ€™ important to understand â€œspringâ€ in real estate time begins in mid-January through March. 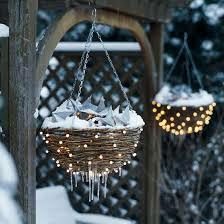 Here are some tips to make the outside of your home more appealing during the colder months that buyers will immediately appreciate! 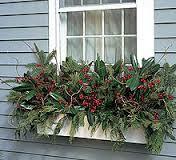 Keep your planters â€œin seasonâ€by the door. 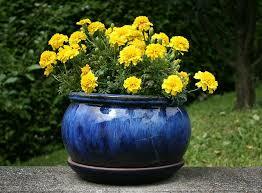 During the fall season consider pots of vibrant mums. 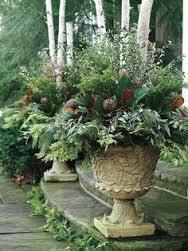 As winter approaches, a touch of green goes a long way on a dreary winter day. 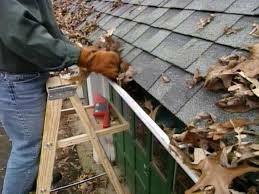 Clean gutters, and make sure there are no places ice dams can develop. You want to demonstrate you are meticulous about maintenance and there will be no surprise repair issues during the spring thaw. 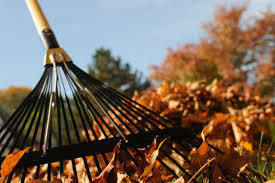 Keep leaves raked and piles away from walkways and driveways. A fall cleanup is always in order. 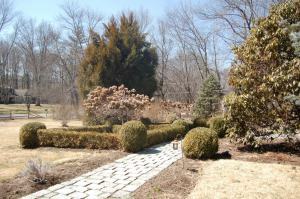 Besides raking leaves this can include trimming bushes, seasonal plants and low lying tree limbs. Just because summer is over doesnâ€™t mean you abandon your lawn care including patching brown spots in the grass. 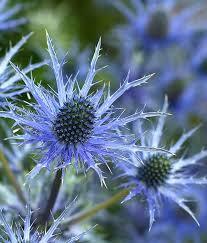 Keep a Fall Garden. 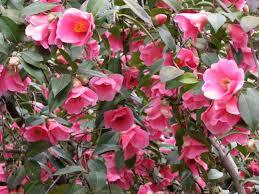 As your summer plants start to fade, replace them with fabulous flowering winter plants like Camelia, Winter Hazel or Blue Holly. 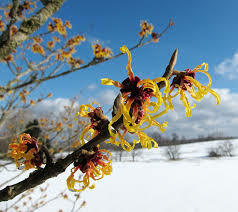 If you donâ€™t want to plant, use structural elements in the garden for winter interest. 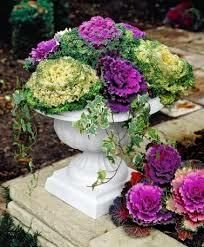 Large urns and planters, benches, rock walls and other garden structures will help buyers see the potential even in the snow. Paint the front door. Splash your entry door with bold color to brighten the faÃ§ade. This makes your home look fresh and clean. Pick a semi-gloss exterior paint and donâ€™t apply below 40 degrees. Take pictures on a nice day Skies can be cloudy or bright but when itâ€™s time to take pictures, a beautiful sunny day with blue sky and clean white snow makes your home look more attractive. 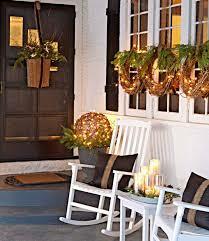 Stage it outside Tasteful winter decorations and can make your home seem welcoming. Pick items that will appeal to a wide variety of buyers. Blow up snow globes and giant Santaâ€™s probably donâ€™t fit into this category. 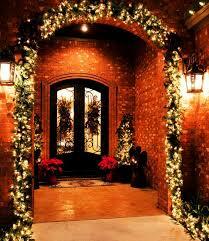 Consider understated, tasteful holiday lighting which can help light up walkways and increase security. For protected front porches and screened-in porches, keep the area fully furnished, turn on outdoor lights, and drape thick throws over the outdoor furniture. 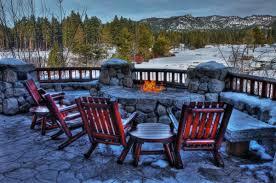 Patios and decks are also good areas to stage, especially with bright furniture and outdoor fireplaces. 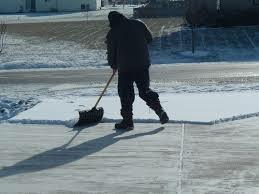 Clear all snow off the driveway and walk. 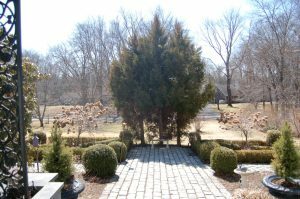 Even though this seems obvious, donâ€™t forget about pathways around the property, as well as those leading to the front door. Potential buyers will want to walk out on your deck and around the back & sides of your home. Make sure the path to the lockbox is clear. 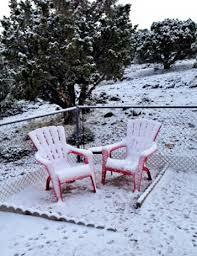 Prospective buyers and real estate agents donâ€™t want to tromp through feet of snow before entering your home. (And you donâ€™t want the clean-up either). 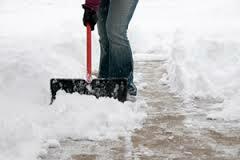 If shoveling on your own is a health concern, hire a service and make sure there are no patches of ice. Itâ€™s important that prospective buyers can get to and around your home safely. Paint your Mailbox It may be a fresh coat of paint or a mailbox of many colors, but itâ€™s a detail that shows you care about your property. Make sure not to paint over house numbers that could impede postal service delivery. Following these fall and winter strategy tips, will assure your house wonâ€™t be left out in the cold in any season!